Hotel de Suede is a charming hotel in the heart of Paris. 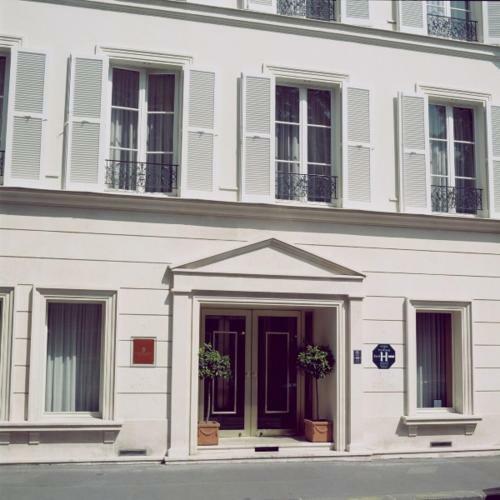 It is situated close to the Rodin Museum, the Musée d'Orsay and Saint-Germain-des-Prés. 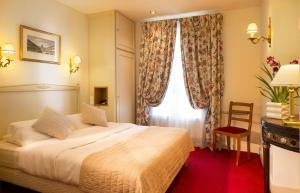 Guest rooms at the Hotel de Suede are air-conditioned. They are equipped with en suite facilities, satellite TV and a work desk. Some have a view of the Matignon private gardens. 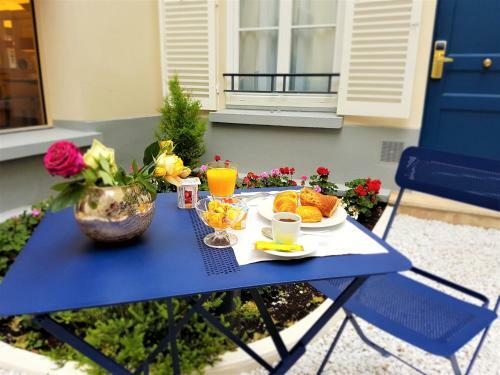 Breakfast is available daily and served in the peaceful interior garden on nice days. 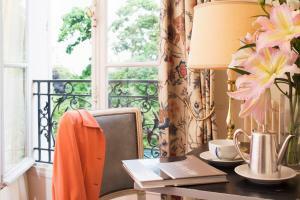 Other services include Wi-Fi, a 24-hour front desk and room service. 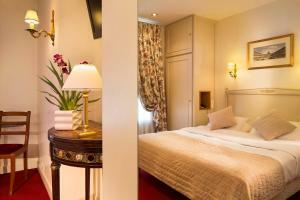 The Hotel De Suede Saint Germain is close to Metro stops serving lines 10, 12 and 13. Guests are well connected to the rest of the city. Please note that high-speed internet access is at an extra charge. Please note that when booking more than 4 rooms, different policies and additional supplements may apply. Guests are required to show a photo identification and credit card upon check-in.Please note that the details of the credit card and the photo identification must match the details on the booking. If this is not possible, guests must inform the hotel in advance of check-in. 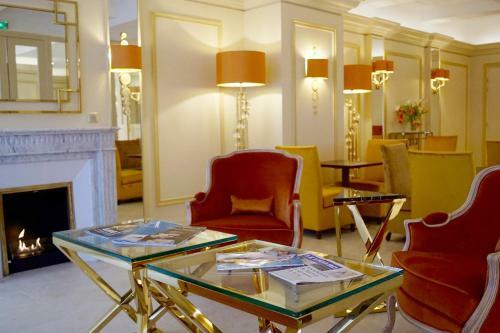 Please inform Hotel De Suede Saint Germain in advance of your expected arrival time. You can use the Special Requests box when booking, or contact the property directly with the contact details provided in your confirmation. Guests are required to show a photo identification and credit card upon check-in. Please note that all Special Requests are subject to availability and additional charges may apply. 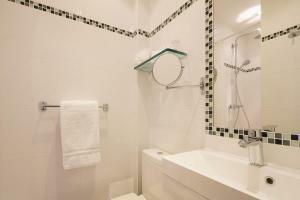 This air-conditioned room features a flat-screen TV and a furnished bathroom with a bathtub. A welcome tray is provided in the room. A bottle of water is offered upon arrival. 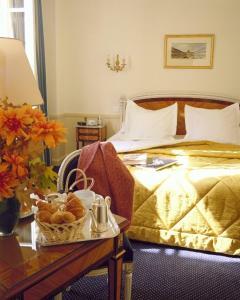 The air-conditioned superior room features spacious spaces, a large bathroom and stylish French furniture. It also has a flat-screen TV. A welcome tray is provided in the room. A bottle of water is offered upon arrival. 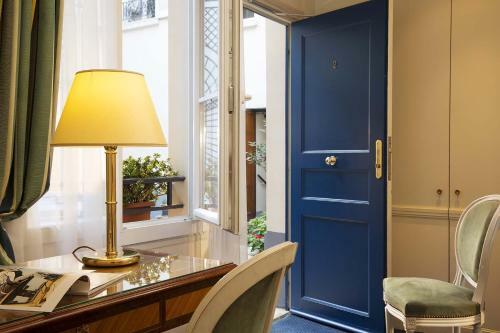 With views of the inner courtyard or the Matignon Garden, this air-conditioned room features a flat-screen TV and a furnished bathroom. This room can either accommodate 1 double bed an 1 sofa bad or 4 single beds. A welcome tray is provided in the room. A bottle of water is offered upon arrival. 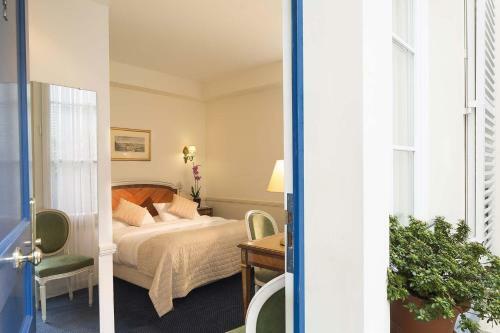 Located on the first floor of an external building, this air-conditioned spacious suite with 1 separate bedroom features a living room and view of interior garden. 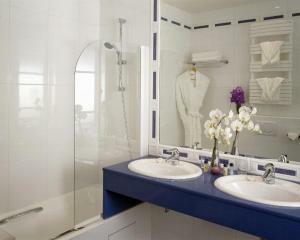 The bathroom is complete with a double sink. A welcome tray is provided in the room. A bottle of water is offered upon arrival. This suite is accessible via stairs only. 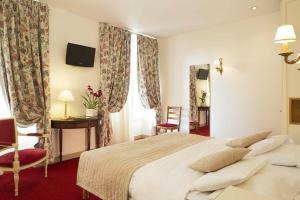 This air-conditioned single room has a flat-screen TV and a private bathroom. A welcome tray is provided in the room. A bottle of water is offered upon arrival. Some of those rooms have views of the Matignon Garden and are set over 2 levels, with the bathroom and working area on the upper floor. Other rooms are located in the attic. 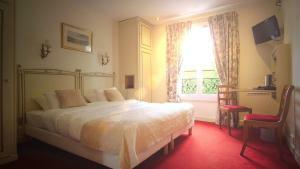 Rate: € 98.40 ... € 458.00; select dates below to get current rates. 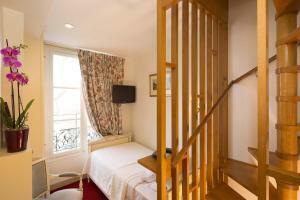 With views of the Matignon Garden, this air-conditioned double room features a private bathroom with shower. A welcome tray is provided in the room. A bottle of water is offered upon arrival. This superior air-conditioned twin/double room has views of Matignon Garden. It also has a private bathroom with bathtub. A welcome tray is provided in the room. A bottle of water is offered upon arrival. 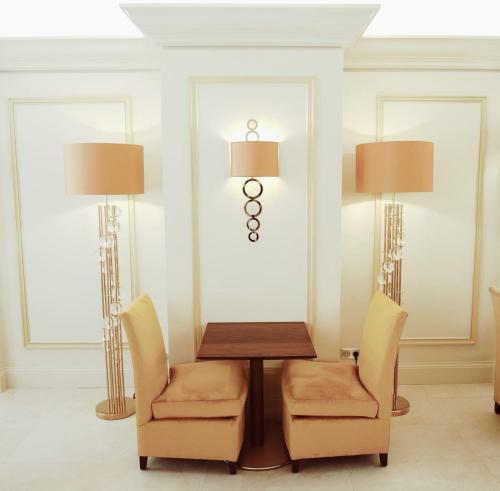 Located in an external building and overlooking the inner courtyard, this suite features a sofa and flat-screen TV. Flooded with natural light, the private bathroom is complete with a bathtub. A welcome tray is provided in the room. A bottle of water is offered upon arrival. This category is composed of 2 Superior, non communicating Double Rooms. The rooms are air-conditioned and both feature a flat-screen TV, a private bathroom with a bath, free toiletries and a hairdryer. 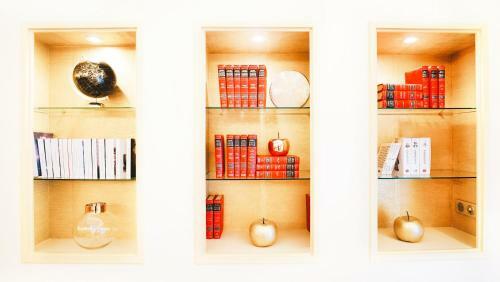 A welcome tray is provided in each room. A bottle of water is offered upon arrival. Children under 12 cannot be accommodated in those rooms.